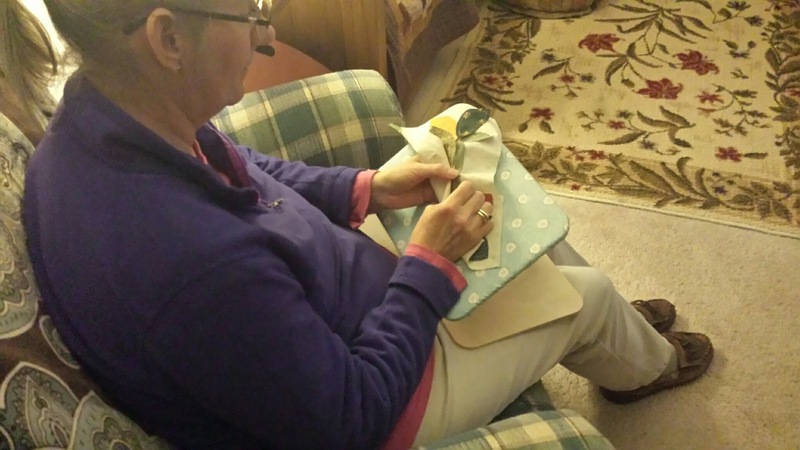 While I was working on my Happy Days BOM by Sarah Fielke, I saw that she had posted about using a Lap App for applique. I had never heard of it. I did a little research online and decided to get one. I love it! It is made from wood and is adjustable both in height and angle. 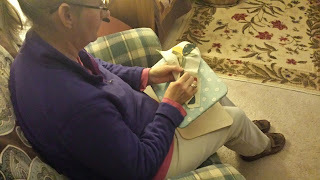 It comes with a piece of sandpaper attached to the top for ease in tracing your shapes on to your fabric for applique. The padded fabric cover has a pocket to put your scissors into or whatever you prefer. It also comes with an ironing cover. On the base there are three posts perfect for holding your thread, and a small magnet to hold your needle. 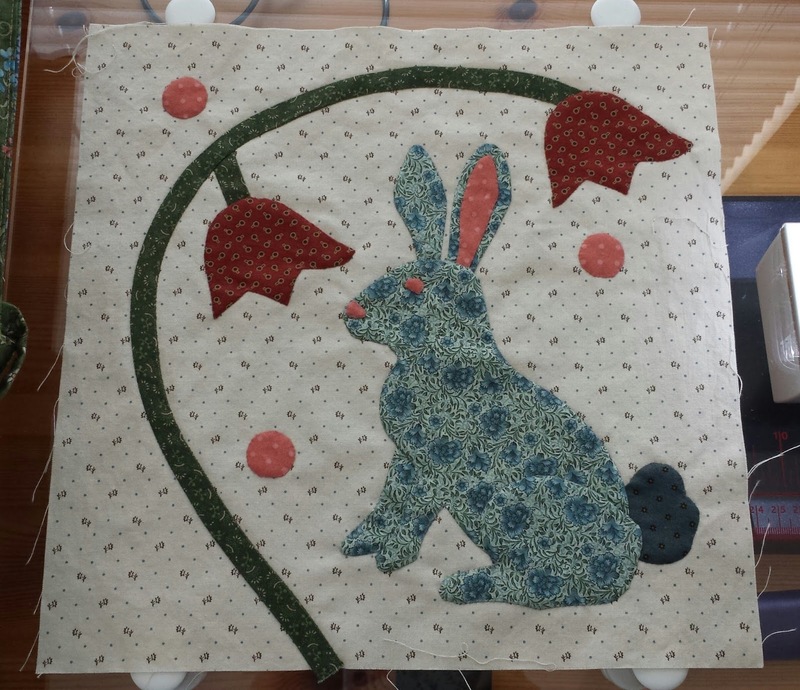 It is comfortable to use and works so well for applique. I think that it would also work well for english paper piecing or anything else that you are more comfortable resting your arms on. I bought mine on Amazon through the Lap App company, but there are other places available. Sarah Fielke also sells them on her website here. You just need to do a search and you will find them. 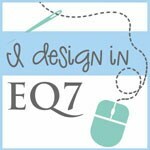 It has been quite a while since I have blogged, which I am sure you have noticed. 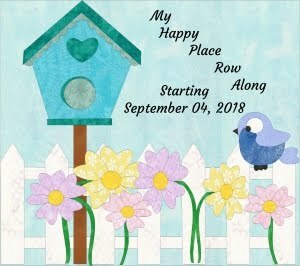 :-) We moved last year and have been off on new adventures. 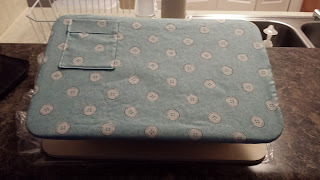 As far as sewing goes this past year, I have mainly been working on Sarah Fielke's Happy Days BOM 2016. 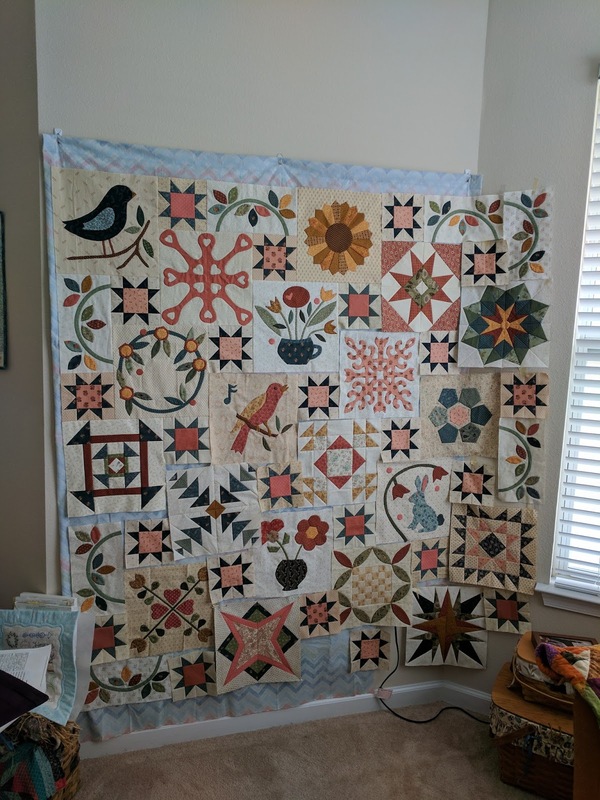 This quilt features a lot of applique, some pieced and some paper pieced blocks. One thing that I decided that I really wanted to do this year is to try some things that I would not normally do. 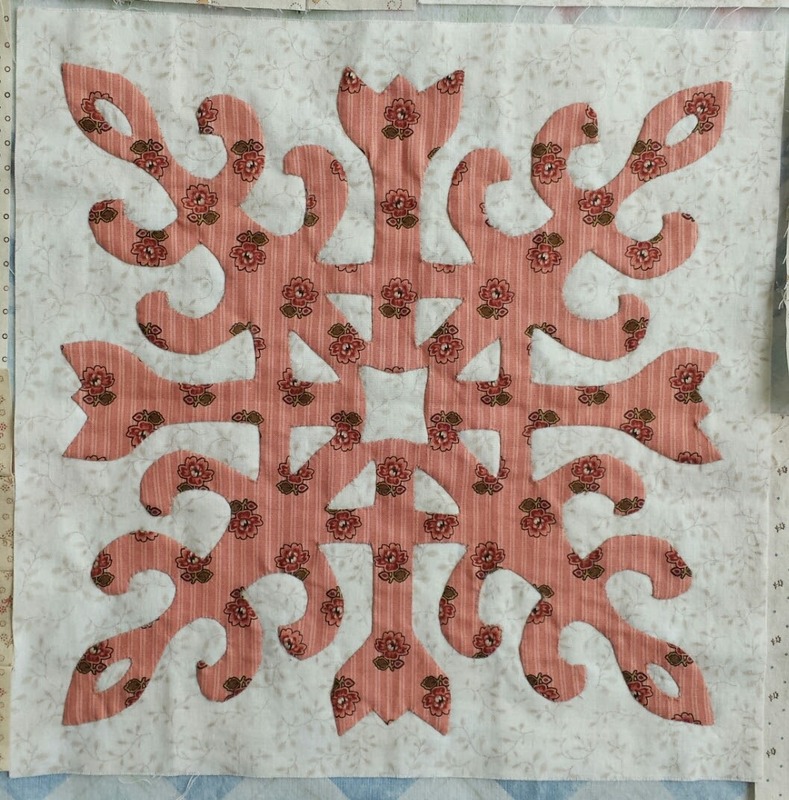 One of them was needle turn applique. I tried it many years ago, but decided it wasn't for me. 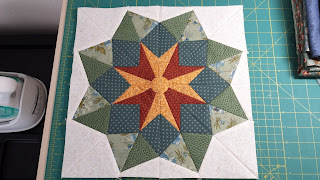 However, since working on this quilt and following Sarah's wonderful instructions and videos - I am HOOKED! I love it! I still don't have the quilt totally finished, but I thought that i would share some pics. 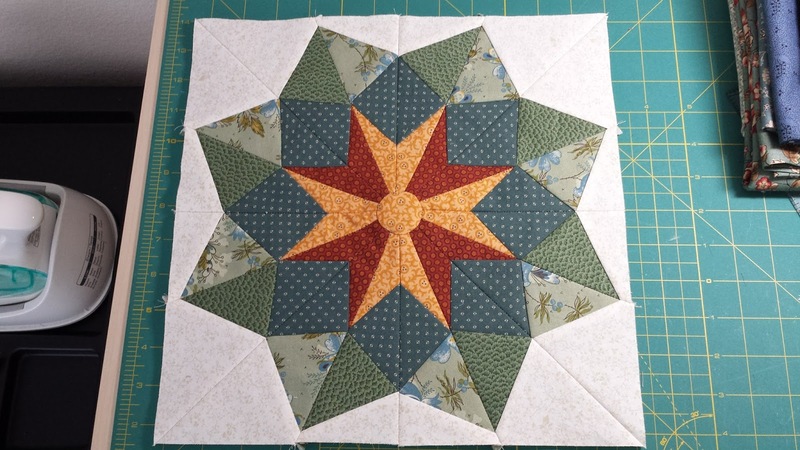 This one shows what the layout of the center of the quilt will look like. I have 2 applique blocks to finish for the bottom yet. 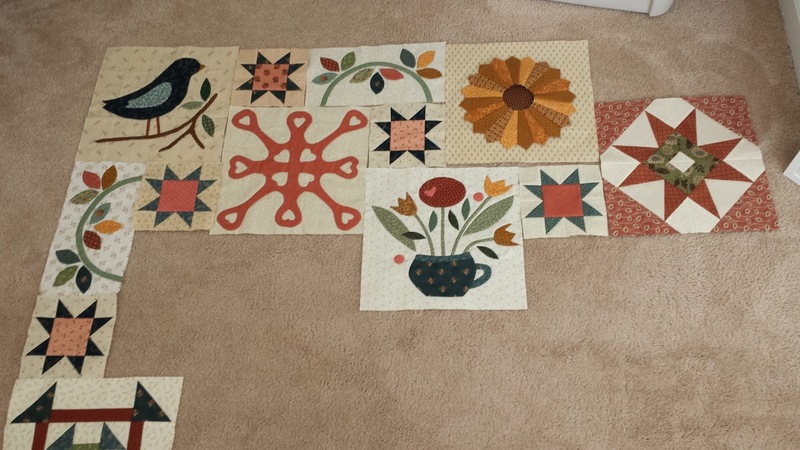 This is a close up of the blocks that I started with. I never in a million years thought that I could applique this block! But I did it! Love it! I have found hand applique to be so relaxing and now look forward to just sitting and stitching. If you would like more info on this bom, you can find it here. Sarah also has a new BOM for this year called Down the Rabbit Hole. You can find info at that same link. Of course, I signed up for that one too! I haven't started it yet, other than picking out some fabric. It is now officially on my list!